Hello Kerry, I hope all is well for you and your family. I just got back from the Brown Mountain area in North Carolina. Funny, none of the UFO experts have done much research on this area. I assume you know about the events that have gone on there for many decades. I could send you the latest data we have uncovered there if you wish. But for now, I would like to tell you what the latest on the dragon of Yellowstone is. We are entering the Solar Grand Minimum as they call it. The Sun is going into a noted hibernation which as I have been told, could last for 400 years or so. Anti-correlations of silica magma eruptions and solar magnetic activity is being noted by the Seismologist. They have stated now that 8 out of 11 eruptions taking place since the sun activity is the least. This anti-correlation suggest that the silica rich magma eruptions are triggered by the nucleation in the magma. This induction is called the “Bubble Nucleation” of cosmic rays-muons. Th magma dome is most know is surely a conduit that is triggered by production rates of [rad] radiation which exceeds the quenching rate as that called [max]. This is how they rate the intensity of the event building. If one looks at a map in this order…Meropi-Island of Java…Kilauea-Hawaii…Fuego-Guatemala…They are all in line but then the USGS are saying this is normal. According to the GVP/Global Volcanism Program-siting the Holocene eruption’s rating them at VEI system (velocity explosivity index), there are now 74 active volcanoes in the world, and they must have forgotten to add Yellowstone because it is not on the list. When it does erupt, the cloud ash will be carried by the jet stream as I have stated. Convection atmospheric conditions are now seeing that the Earth is expanding, aligned with the polar shift we have noted. This is why we are seeing the extreme weather conditions, flooding, hail, the cooling of the climate and heating in other areas that are surely causing much as they are calling this the climate effect. This my dear sister, is anecdotal evidence. NOAA has admitted the polar shift is now 144Km degrees in temperature degradation. It has been noted that the huge quakes of 1811-1812 /New Madrid was caused then by a Sun hibernation, cooling was taking place as records have shown. So here is another question no one is willing to talk about, to include some of my collogues, the aerial spraying of elements of aluminum powders that might be covering the ash that is already in the air, “GEO AIR SPRAYING”…this would cost in the billions and how many governments are in on this? Mr. John Casey/NASA has said to some behind closed doors, there is coming an upheaval soon and FEMA and the USGS knows this for certain, but they are not allowed to say anything openly about this to the public nor the press. Getting home yesterday from Brown Mountain, I had several seismic charts sent to me for review. There was a 4.8 quake on 7-15 at Yellowstone which in turn shifted much of the Teton Pass area. It is now closed to the public and many areas around it are now shut down to the general public. The other charts I have looked at also show magma moving southward as the sensors are showing, but then there are others that is not being allowed by others too. The Pacific Northwest and the following mountains…Mt. St.Helena, Mt. Reiner, Mt. Hood, and Mt. Pelugo, the domes of heat are rising at a fast rate. In these areas we saw the rise of many quakes before they erupted, and some of these have been dormant for years. But the experts just say that they are random…There is no such thing as random quakes or volcanos erupting. One might wish to see more examples here? 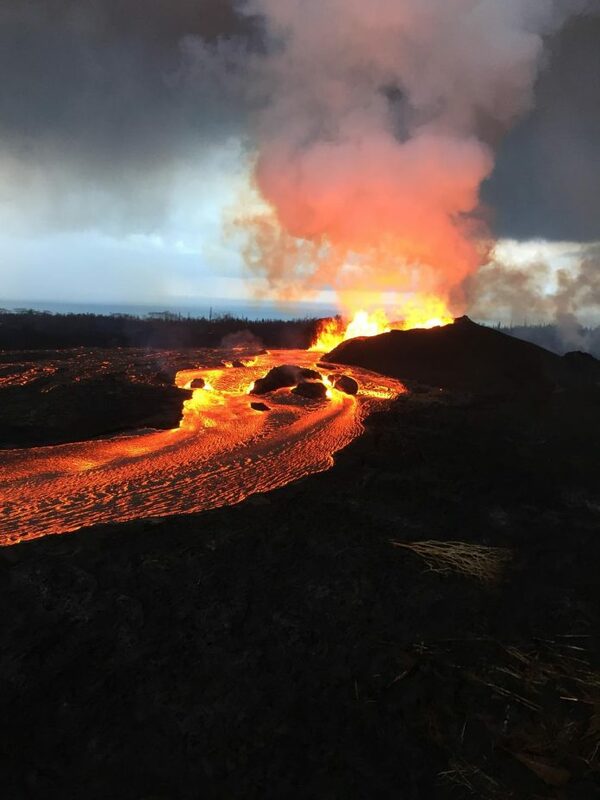 One can look at the dome in Hawaii’s Kilauea weeks ago as the magma dome was at the top and now it has fell some 250 feet down inside the dome itself. It is now expanded below the surface. If one looks at the maps that are being shown to the general public, you can see that new fixtures have opened up just north of the main volcano dome, that is around 25-35 miles apart from one another. These are new splits and they will expand as we have seen in the past from other eruptions around the globe. When these events take place, they are setting up for something much more greater. It is why I watch Alaska’s Redoubt Volcano, It is connected to the Cascadia Subduction zone. Alaska is playing a role in all of this. What happens there will affect other areas around the world, as in Africa, the rift there that has cracked open some of the Somalia inland regions, has again opened up deeper and wider. But the North American plate and the Cascadia/Juan de Fuca plate are stuck which is going to break eventually and then it is lights out. Some might not know the engines that run these volcanos, but it is like this, there is water very deep inside the bowels of Earth and they are lubricants that cause the plates to move. If that water has nowhere to run, then the plate gets stuck and then eventually you witness an earthquake. They can also have a reverse effect also, they can soften the underground chambers and then you have a quake also. Damn if you do and damn if you don’t. But Yellowstone is acting exactly as we thought it would. And to add this other equation of the system that is called Nibiru coming in at a lower than expected trajectory, the pressure from this now adds more fuel to the fire that is already present. It is heating up the center core as we have said. But no one is talking about this are they? They are in job loss fear as they cannot or will not expel to anyone. One can also see that the Mississippi River is dry in some areas as far north as Illinois to the south in the state of Mississippi. Barges cannot move anywhere in these areas because of the low water levels. There are places around Dyersburg Tennessee that you can actually walk across the river. So where is the water going to? There is a crack under the ground. But there are International scientists that are now starting to say, an impending global cataclysm is nearing its boiling point and a maximum of 18 years we shall see this emerge. From the Pacific Northwest to the east coast of this nation, there will be total destruction, and an emerging nuclear type winter will envelope the planet. I do not wish to sound like a fear monger, but this is reality and how many will take it to heart and survive? This will speedily spread across the ring of fire and then hits places like Japan, the mountain of Fuji, Aira are becoming very active as this is another sign. The Lithospheric plates and the studies conducted on the geoengineering probability of the eruption falls short of what they are saying, and in my views, they are lying to the people. I have found many discrepancies between the data the public is told and what is really taking place. Like the tectonic plates maps in particular. The North American lithospheric plate is not as whole as they are saying and as previously believed. The latest data indicates that on the continental crust of this plate, an intensive formation of splits have been found. Which is transitioning into the rifts we are seeing, like that in Arizona, New Mexico, and elsewhere. Formations of various sinkholes are the first indicators of this data. If the data is correct, and I do believe it is, it shows that there will be three divides of the territory and the transitions of present USA today into what will happen when the event happens, there will be two major land masses, what was 50 states, might be down to only 18-20. Given the fact that intensity in these areas continue and there is no evidence that it will subside. This information is not being told as it should be by the elected officials and the agencies such as that of the USGS and FEMA-HSA. The fields of climatology and Siesmoltologist know this for a fact, they are monitoring these events on a daily basis. There is a many of sciences that are involved here, and to say that it will not erupt is playing Russian Roulette, eventually, sooner or later, your dead, who is the stupid ones here then? Is it our fault that they refuse to listen, but then, you have been warned. Yes, when I SAID THE DRAGON IS WIDE AWAKE, HE SURELY IS AND FOR SOME WHO DO STUDY THE BIBLE, MAY I ADD THIS INTO THE MIX…ZECHARIAH 13:8-9…In the whole land, declares the Lord, two-thirds will be struck down and perish, and yet one third will be left in it. The third I will bring into the fire, and I will redefine them like silver and test them like gold. Good to hear from you! Hope all is well with you and your family. Just a note about Mammoth (which was in the past I believe a super volcano), it is active and according to my dreams when Yellowstone goes Mammoth will follow as well. Please go back over some of my recent emails to you which contain questions I am hoping you can answer. 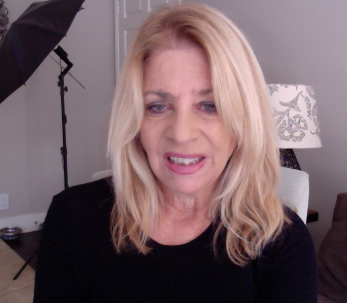 Please let me know when you might be available to do another live interview via youtube using skype. You might want to tune in to my show tonight with Paul Price, which if it happens, will deal with the infiltration of To the Stars and the alternative media scene by CIA and free energy.